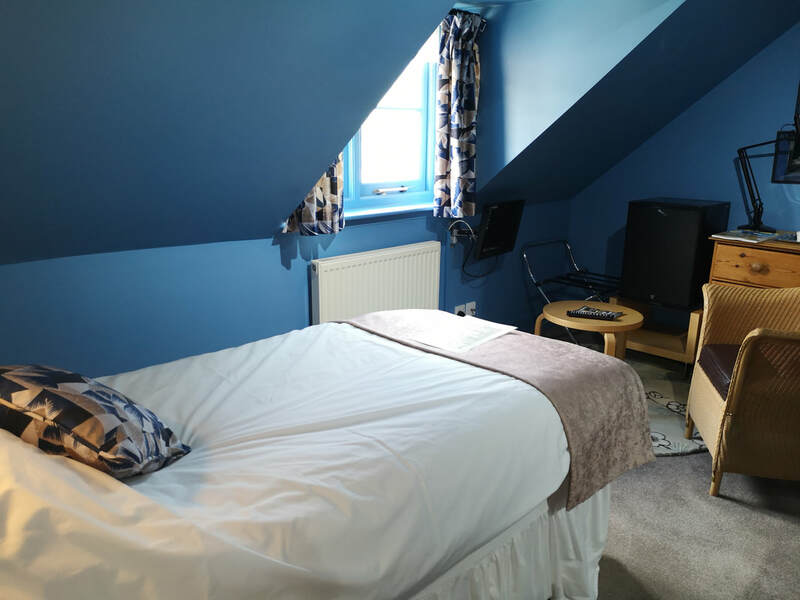 Generously proportioned first floor double bedroom with large tiled en-suite shower room with range of toiletries. Refreshment tray with fresh milk, leaf tea, ground coffee and complimentary mineral water and sweets. LCD flat screen colour TV, fridge, hairdryer, and radio alarm clock. Snug second floor twin bedroom with tiled ensuite shower room with range of toiletries. Refreshment tray with fresh milk, leaf tea, ground coffee.and complimentary minera water and sweets.LCD flat screen colour TV, fridge, hairdryer, and radio alarm clock. 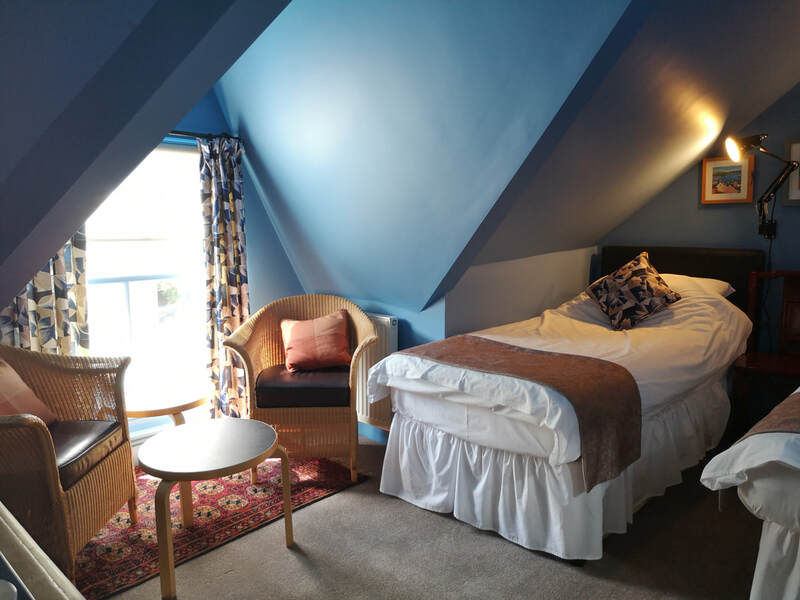 A comfortable single room with seating area and tiled ensuite shower room with range of toiletries. Refreshment tray with fresh milk, leaf tea, ground coffee.and complimentary mineral water and sweets. LCD Flat scren colour TV, fridge, hairdryer, and radio alarm clock.